After you have determined the initial topology for your Anaconda Enterprise cluster, and verified that your system meets all of the installation requirements, you’re ready to install the cluster. DNS resolution for the AE domain should get resolved to the IP address of the master node. This can be done through an alias (A) record or canonical name (CNAME). By default, Anaconda Enterprise installs using a service account with the user ID (UID) 1000. You can change the UID of the service account by using the --service-uid option or the GRAVITY_SERVICE_USER environment variable at installation time. To do so, you need to have first created a group for that user with the UID. The installer uses the TMPDIR directory that’s configured on the master node, so be sure the default directory contains sufficient space or create an alternate directory (with sufficient space) for the installer to use. If you choose to use an alternate directory, ensure it has the correct permissions enabled (drwxrwxrwx), and either add it to /etc/environment or explicitly specify the directory during installation. Verify that the /etc/resolve.conf file on the host machine DOES NOT include the rotate option. If it does, remove it before installing the platform. If you are using a firewall for network security, we recommend you temporarily disable it while you install Anaconda Enterprise. For more information about port requirements and other firewall settings, see the Network requirements. Existing installations of Docker (and dockerd), dnsmasq, and lxd will conflict with Anaconda Enterprise. If any of these are installed on the master node or any worker nodes, remove them from all nodes before installing Anaconda Enterprise. The method you use to install the cluster will vary, depending on your ability to access the target machine. If you have network access to the target machine, we recommend you install Anaconda Enterprise using a web browser. Otherwise, you’ll need to use a command line. With both methods, you can create any number of nodes from one to five nodes. You can also add or remove nodes at any time after installation. For more information, see Adding and removing nodes. If the cluster where you will install AE cannot connect to the internet, follow the instructions for Installing in an air-gapped environment. To start the browser-based install, copy the full URL that is generated into your browser. Ensure that you are connecting to the public network interface. If you’re using an alternate TMPDIR and DID NOT add it to /etc/environment, edit the copied URL to include the directory in the sudo bash command. For example, sudo TMPDIR=/mytmp bash. If you’re unable to connect to the URL due to security measures in place at your organization, select File > New Incognito Window to launch the installer. After reviewing the License Agreement, check I Agree To The Terms and click Accept. Enter the name to use for your deployment in the Cluster Name field. The Bare Metal option is already selected, so you can click Continue. Select the number of nodes—between one and five—that you want to install in the cluster. One node will act as the master node, and any remaining nodes will be worker nodes. See Fault tolerance for more information on how to size your cluster. On each node you plan to install Anaconda Enterprise, copy and run the command that’s provided as it applies to the master node and any worker nodes. As you run the command on each node, the host name of the node is listed below the nodes. Use the IP Address drop-down to select the IP address for each node. Accept the default directory for installing application data (/opt/anaconda/) or enter another location. After all nodes are listed, click Start Installation. This process can take approximately 20 minutes to complete. To view the install logs, click the option at the bottom of the panel. Click Continue to proceed to Post-install configuration. The installer running in the terminal will note that installation is complete and that you can stop the installer process. Do not do so until you have completed the post-install configuration. 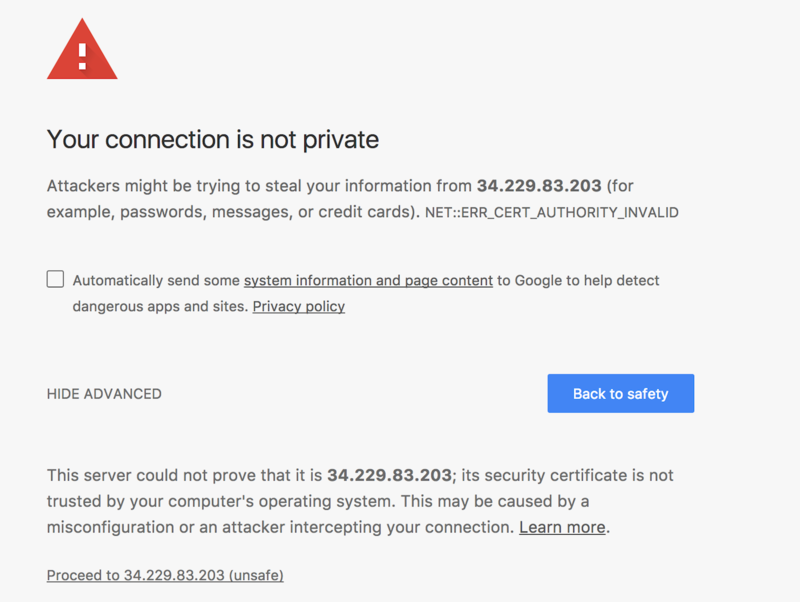 If you cannot connect to the server from a browser—because you’re installing from a different network, for example—you can install Anaconda Enterprise using a command line. small: installs a single-node cluster (one ae-master node). This is the default flavor. If you’re installing AE on AWS , use the --cloud-provider option when installing the master. The installer automatically detects EC2 and uses the VPC-based flannel backend instead of VXLAN. To force the use of VXLAN, use the --cloud-provider generic option. This process takes approximately 20 minutes. After you’ve finished installing Anaconda Enterprise, you’ll need to create a local user account and password to log into the Anaconda Enterprise Operations Center. Then, run the following command to create a local user account and password for the Anaconda Enterprise Operations Center, replacing <your-email> and <your-password> with the email address and password you want to use. Passwords must be at least six characters long. Download the installer tarball file to a jumpbox or USB key. Move the installer tarball file to a designated head node in the cluster. Untar the installer file and run sudo ./gravity wizard for browser-based installation or sudo ./gravity install for CLI-based installation. After completing either installation path, complete the post-install configuration steps.